SED-250RJ soft capsulation production line is of large scale production equipment. The single unit annual production capacity is 400,000,000 capsules. 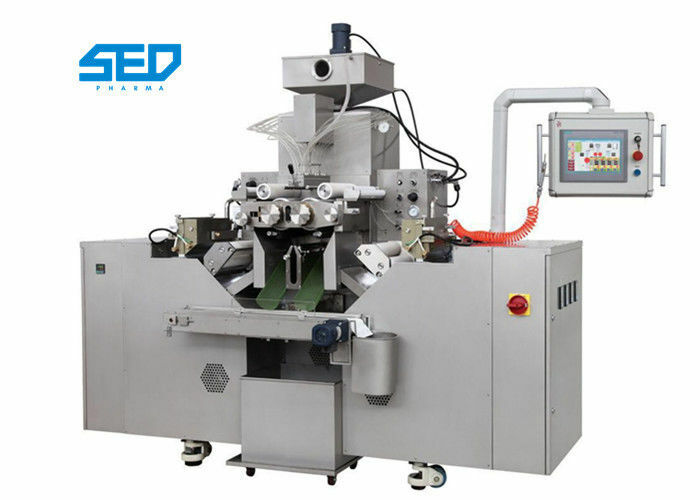 Adopts international advanced control technology, precisely design precisely producing, it is the dependable tool for the production of high quality soft capsules. 1) Mould with mould shaft machine design, to prevent the damage during the moulds installation. 2) Special use wedge installation device, prevent the damage of wedge during the installation. Reduce the working strength of the operators. 3) We use the simplified design for all the daily maintenance parts, easy and fast. 4) Special industrial beautiful designing, it makes the whole machine looks beautiful and generous, brief and clear find the scenery pleasing to both the eye and the mind.